Elf Crafted (we sometimes write it ElfCrafted for fun) is our line of gifts, clothing and other products. Elf Crafted and ElfCrafted are the trademarks and dba business name for Erin Finnerty and Todd Finnerty's clothing design, crafting and other online products sales business. We will be launching more products soon. While we don't have a brick-and-mortar store just yet, we do set up tables at fairs and festivals including irish dancing competitions (a feis). Update: One of our current projects is the soft launch of a special, niche online book store called Book Groupers. We'll have more details for you soon about Book Groupers (by ElfCrafted) soon. The title of the project is tentative and may change, but please consider Book Groupers a current trademark of ElfCrafted. Thanks. Do you have FOMO and want to stay up-to-date with all-things ElfCrafted? Join our e-mail mailing list and we'll pass the secrets on to you. Erin L. Finnerty (E.L.F.) has been hard at work on a number of crafts and we've also been researching high quality manufacturers for other products. Erin is also interested in Cosplay and has been taking sewing and other classes. We've set up a workshop in our basement and we have a lot of interesting ideas in terms of potential fun things to make for you and capabilities we could add over the next few years. Erin has been perfecting her sewing skills making blankets, pillows and other fun things. We have more fun ideas of things we'll be bringing to you so stick around and see what happens! She also has a number of unique, one-of-a-kind original magic wands she has made so stay tuned for some of those. To learn business skills we've researched wholesalers for products (and also followed some auctions and liquidation sites). We'll try to find some good deals for you out there as well. We may set up pop-up retail locations from time to time as a vendor at fairs, irish dancing events (a feis) and other locations. However, even while we're not there we can have an online storefront right here and on other major sites online where people go to do business. ElfCrafted and Elf Crafted Shirts on Amazon! We're in the early phases on launching a variety of products on Amazon. You can learn more about our Amazon sales here. In the future Erin may sometimes list a craft on Etsy for small-batch and one-of-a-kind handcrafted items. The etsy store name would be ElfCraftedDotCom (we haven't really started listing at this account yet). Who says books are dead? Read on. We have some used books for sale on sites online like Amazon and eBay. However, we just recently applied to become an actual book reseller who gets books from Ingram. We love book stores and it would be incredibly fun to actually be an Independent Book Store. We're dong the research related to setting this up now. When that happens we'd of course update the heck out of this simple website. We run a number of other related websites and may begin creating niche bookstores on them with shopify (or maybe we'll just sell on sites like Amazon). We're still considering our options. Who says toys are dead? We're exploring some fun ideas here too. 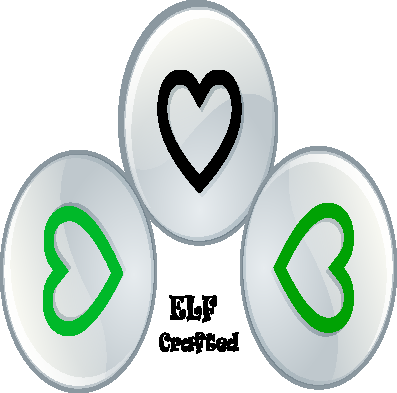 Stick with us as we grow and begin to focus ElfCrafted on all things Awesome!